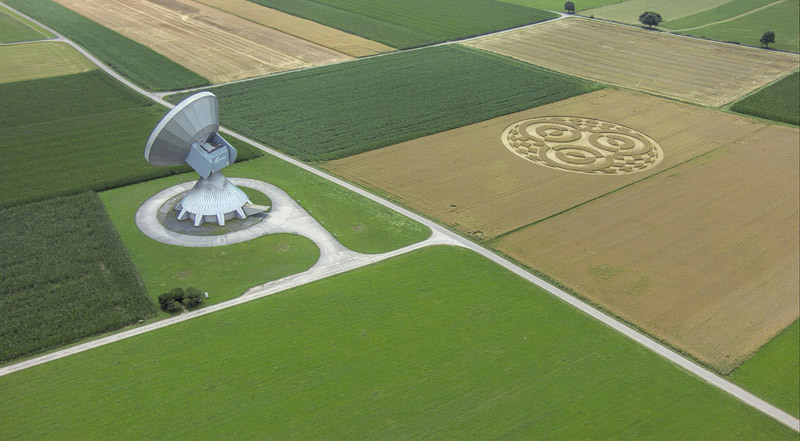 The crop circle appeared in Raisting near the Ammersee, Bavarian, Germany, 50 kilometres away from Munich. 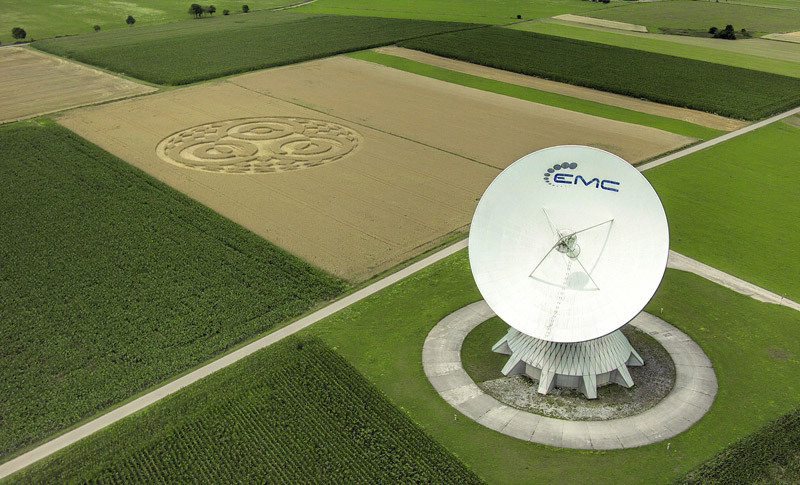 Beside the earth station of the US-firm " Emerging Markets Communications Inc. (EMC)". 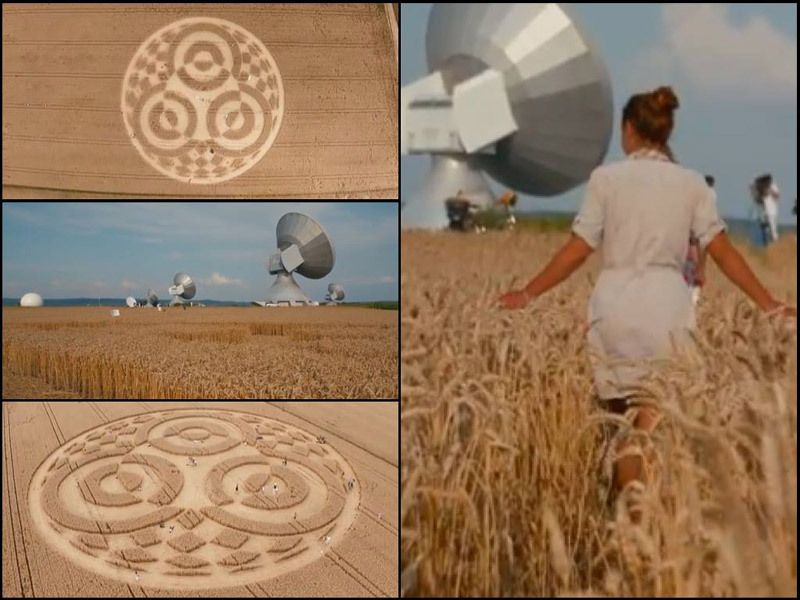 On July, 24 many people arrived at the crop circle. They chanted and meditated together. There was a very peaceful atmosphere there. 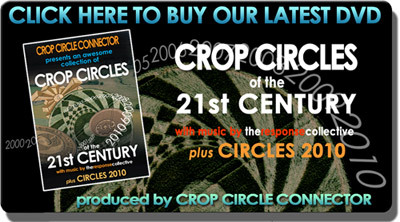 The farmer allows people to visit the crop circle in the next 14 days. Please make a donation (2 Euro). 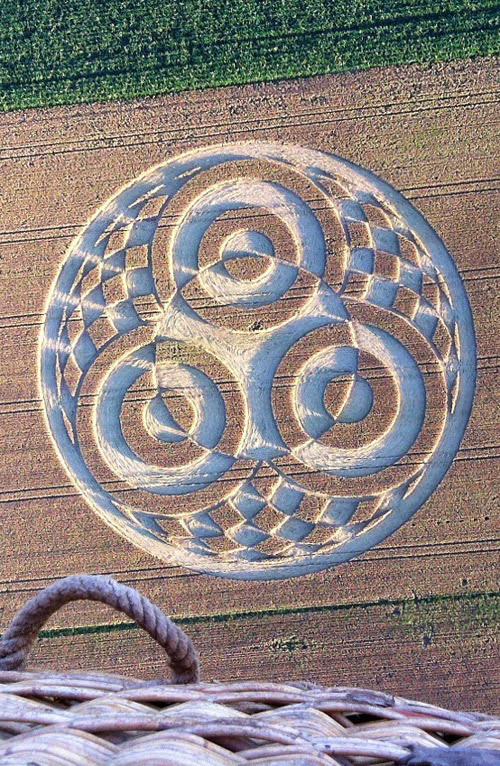 Weilheim-Schongau (Germany) - As early as July 18th, 2014 balloonists discovered a new large and complex crop circle formation in a field near the Ammersee in Bavaria. 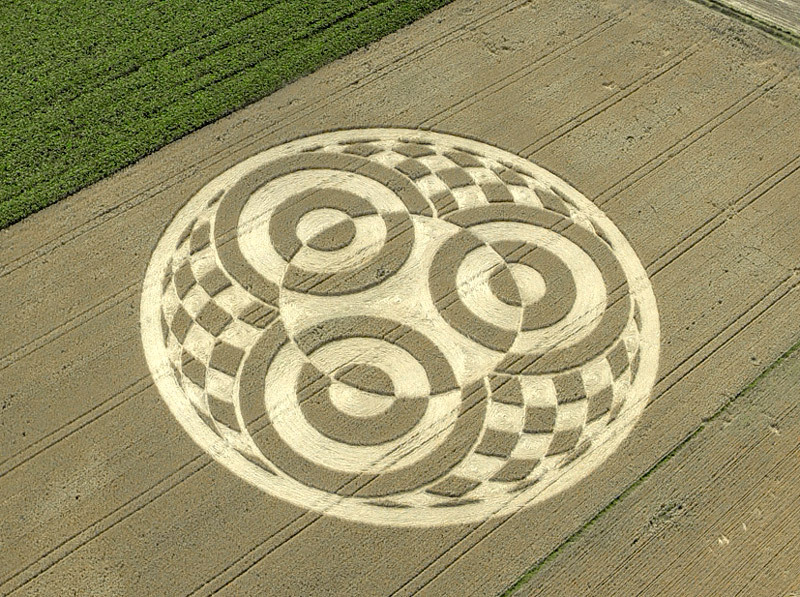 The last report of a crop circle formation in this area was in 2012 near to Andechs This new one stands out even more by its geometrical complexity and size. The formation was discovered in the early evening hours by the crew of a hot air balloon of Landstetter ballooning: "Two years ago we discovered a crop circle near the monastery Andechs, we could not believe our eyes when we accounted another crop circle, this time south of the Ammersee The air flow led us closer to the crop circle so we zoomed and took some images".. In addition to the following aerial photographs we have no further information available at present - not even about where exactly the crop circle is. Due to the progressive harvesting operations, in a neighbouring field, the new pattern should soon fall victim to the combine harvester. For many years, crop circles have been discovered in the Bavarian Five-Lakes Region.